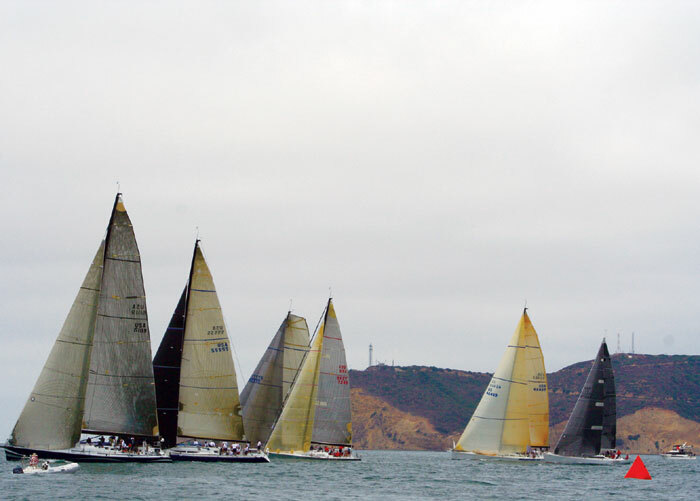 SAN DIEGO — The San Diego-to-Ensenada International Yacht Race will celebrate its 50th anniversary Oct. 4. The sponsoring organization, Point Loma’s Southwestern Yacht Club, expects 100 boat entries this year, with the post-race party drawing more than 500 participants from the yachting community. This regatta has for a half-century hosted top-rated racers on both sides of the border. The event takes place overnight from San Diego to Ensenada, culminating in a massive celebration at San Nicolas Hotel and Casino in Ensenada, Mexico, on Saturday, Oct. 5. Nico Saad, the owner-operator of San Nicolas Hotel, has, for many years, supported and promoted this event, bringing together some of the most celebrated names in yacht racing. Club Nautico Baja will provides hospitality in the form of a paella party, hosted by masters of the traditional Spanish-Mexican banquet dish. Multiple classes will compete for trophies, including sailing yachts from 25 to 65 feet in length. On Sunday, Oct. 6, Club Nautico Baja invites all racers to enter the Todos Santos Regatta, starting off the Hotel Coral Marina in Ensenada, sailing a course around Isla Todos Santos, and finishing with a festive after-party at Sanos Steakhouse. Yacht racers interested in participating can enter at regattanetworks.com or by contacting Southwestern Yacht Club at southwesternyc.org or (619) 222-0438. In Mexico, entrants may contact clubnauticobaja.com. Southwestern YC, founded in 1925, has nearly 750 members embracing all forms of yachting, fishing and social activities. Its location within the Shelter Island Yacht Basin provides quick access to San Diego Bay and the Pacific from its docks, yachting clubhouse and facilities. Southwestern YC’s annual charitable activities include the Benefit on the Bay fundraising events, the Special Olympics Sailing Program, the Junior Foundation and the White Sea Bass Release Project.